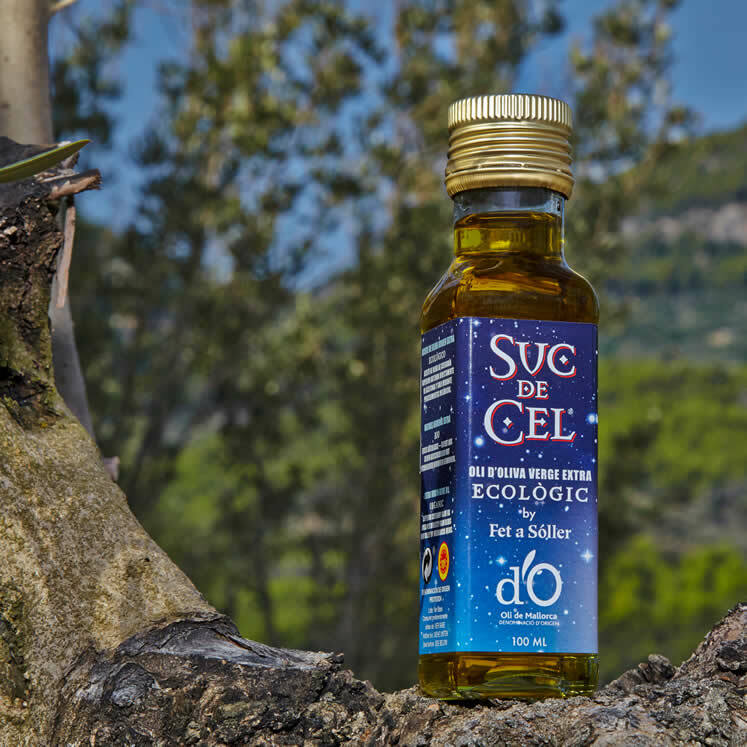 "SUC de CEL" the golden olive oil from the Tramuntana is made from ecologic olives type "Picual" The denomination "Oli de Mallorca D.O." confirms his continuously controlled guaranteed quality. The cold-pressed olive oil virgen extra tastes "purely", just on bread, in the salad and to pasta dishes. It can be used to 180 º also to the roast (it should not smoke).